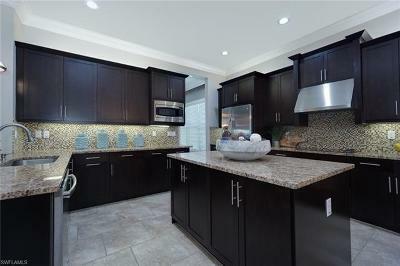 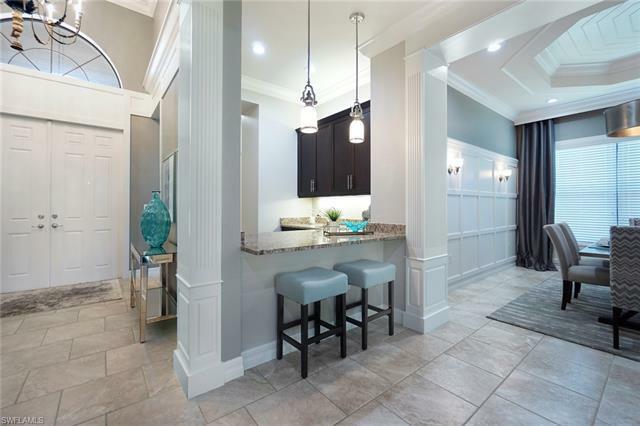 OVER $100, 000 IN CUSTOM WOODWORK THROUGHOUT & UPGRADES GALORE! 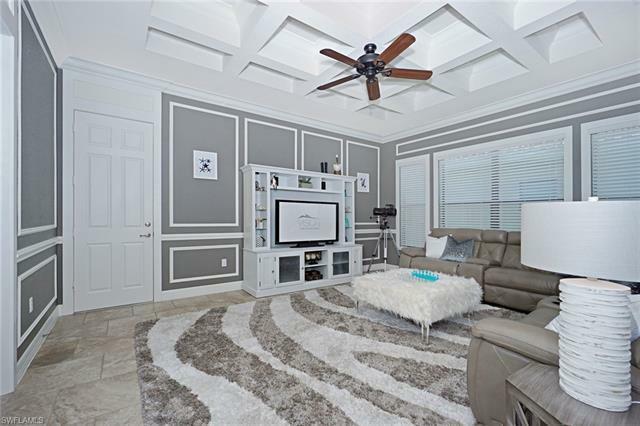 Custom crown, door, window & ceiling moldings, tongue & groove wood paneled wall & built-in entertainment center in living room, custom columns & wainscoting in dining room. 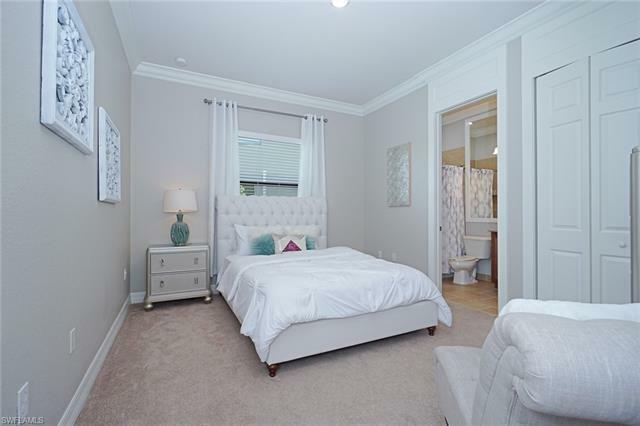 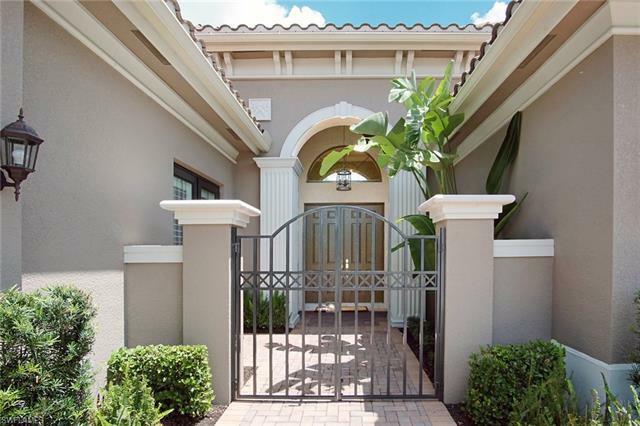 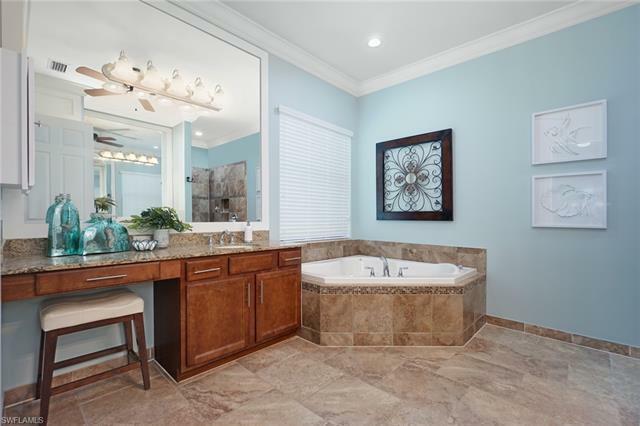 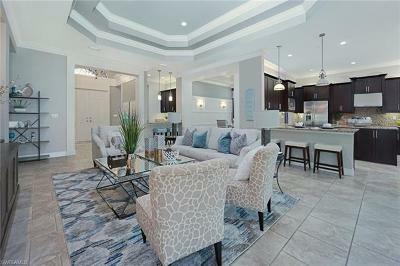 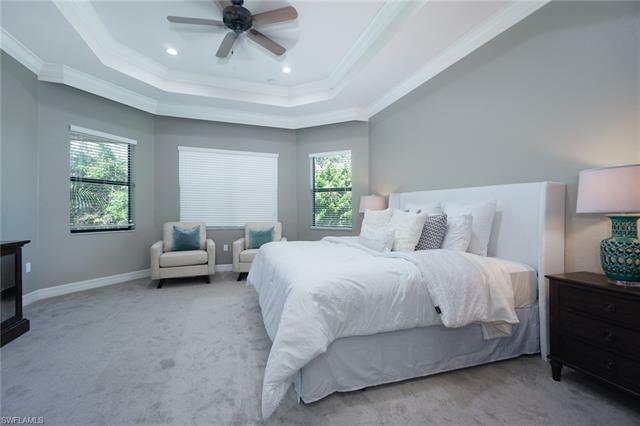 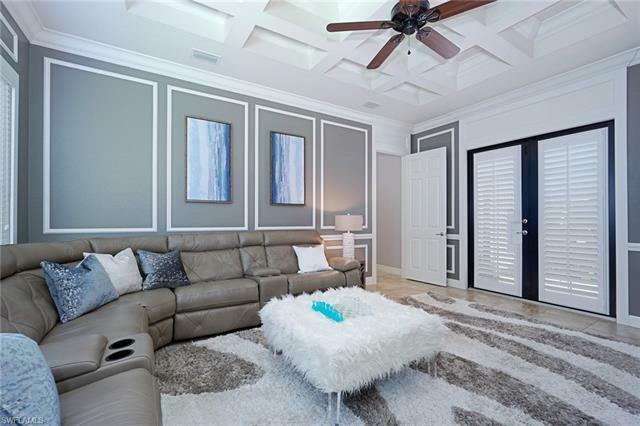 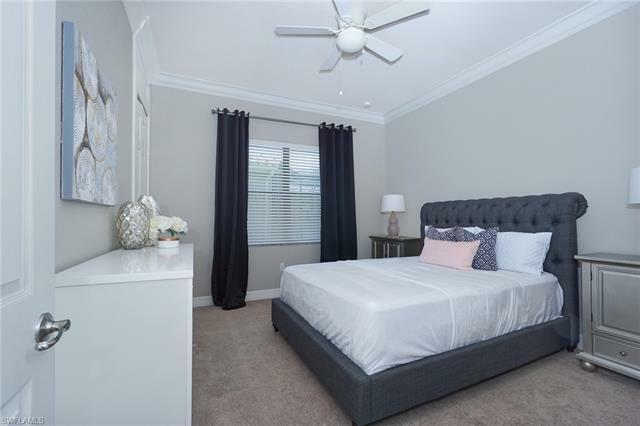 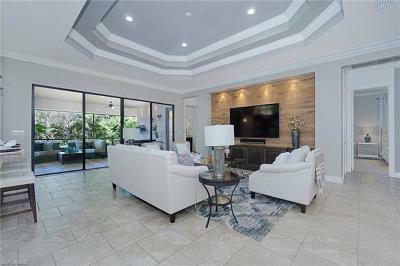 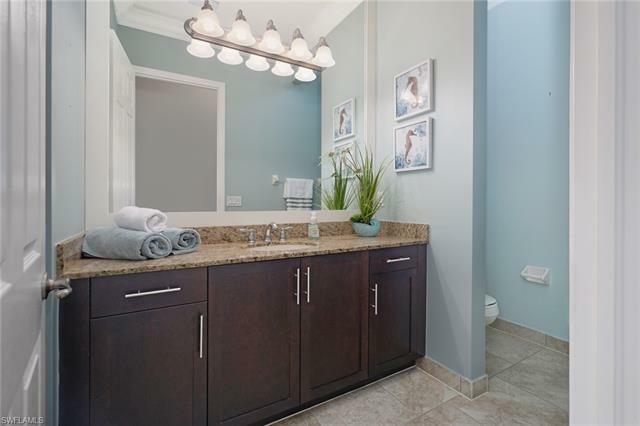 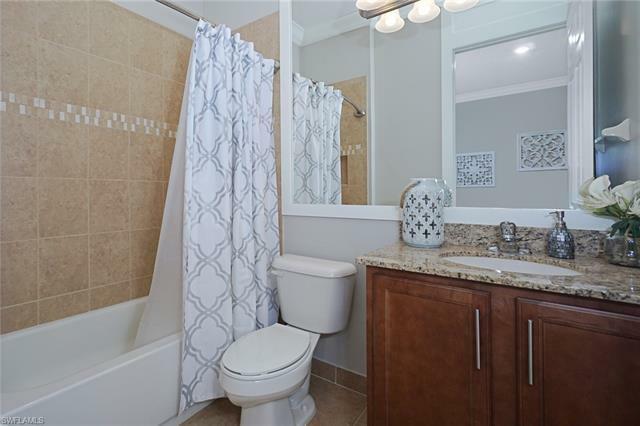 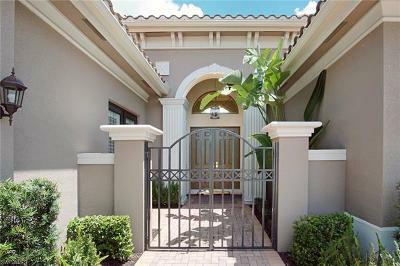 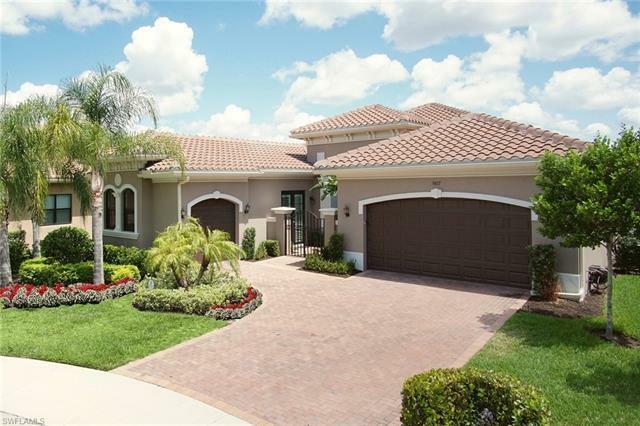 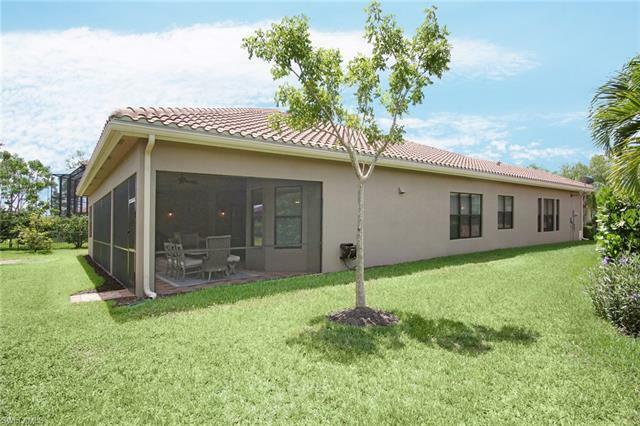 Home has been freshly painted & features a gracious foyer, wet bar, all new lighting fixtures, neutral tile & carpet, cove & coffered ceilings along with designer ceiling fans & custom window treatments, blinds & plantation shutters. 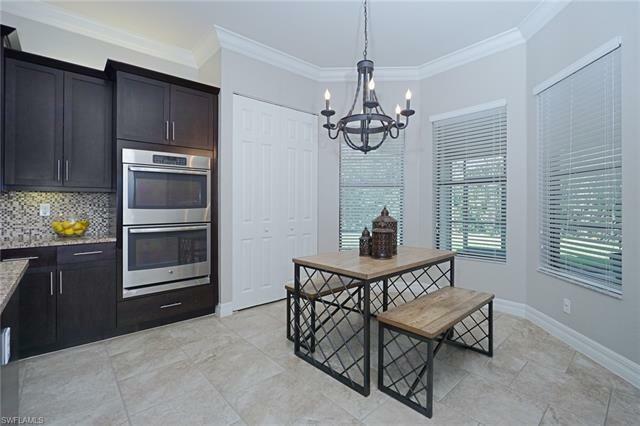 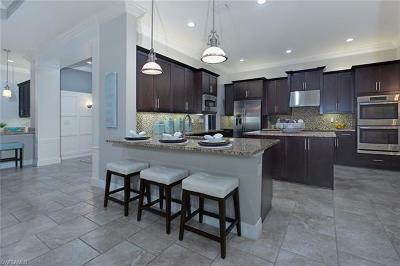 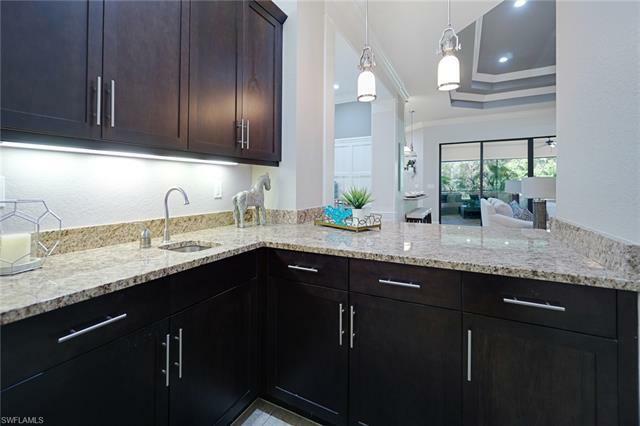 Kitchen opens to the great room & comes equipped with dark wood cabinets, granite counters, tiled back splash, stainless steel appliances, large center island & pantry. 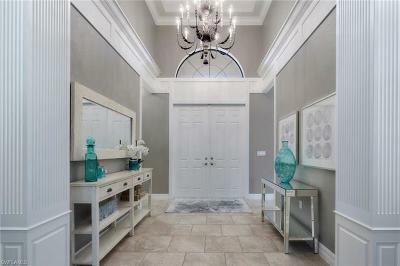 Club room/den offers French door entry onto front courtyard. 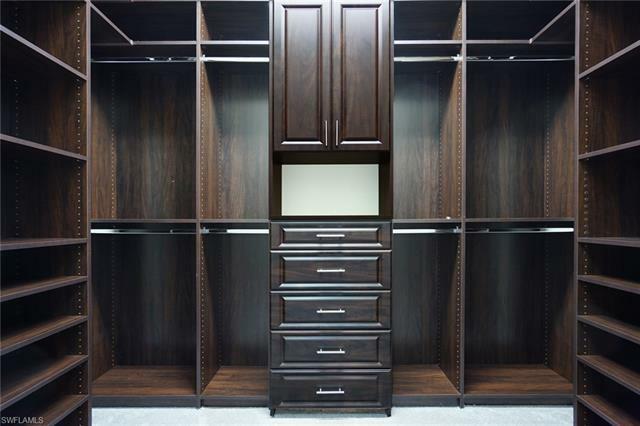 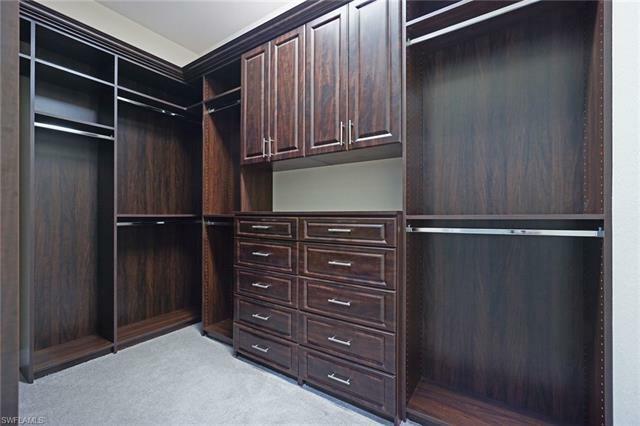 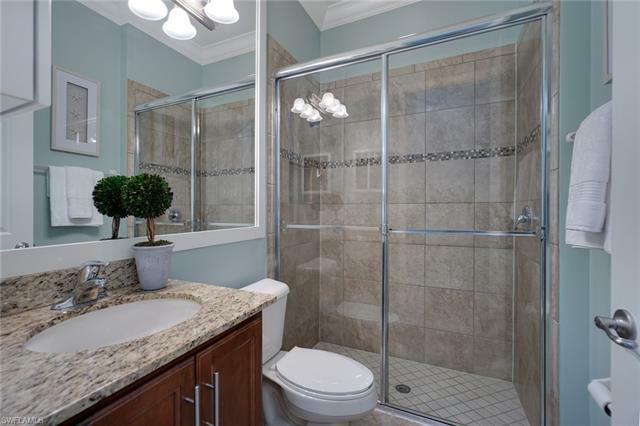 Spacious Master suite offers His & Hers custom closets along with His & Hers vanities, spa tub & walk-in shower. 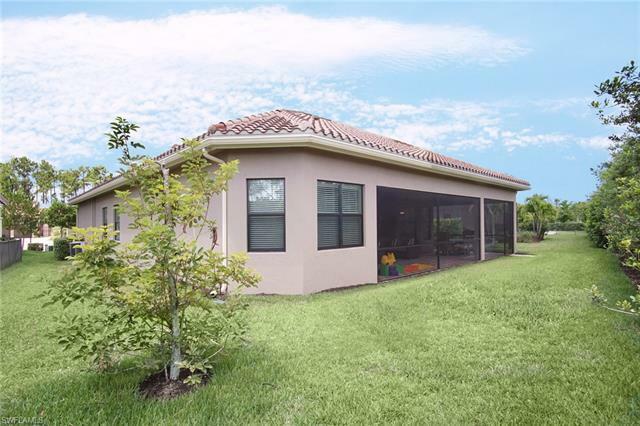 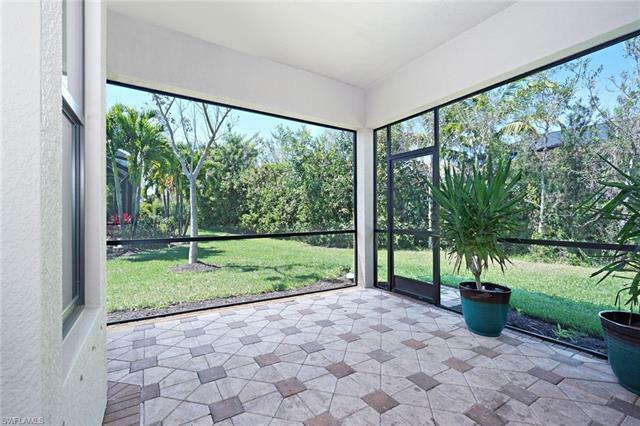 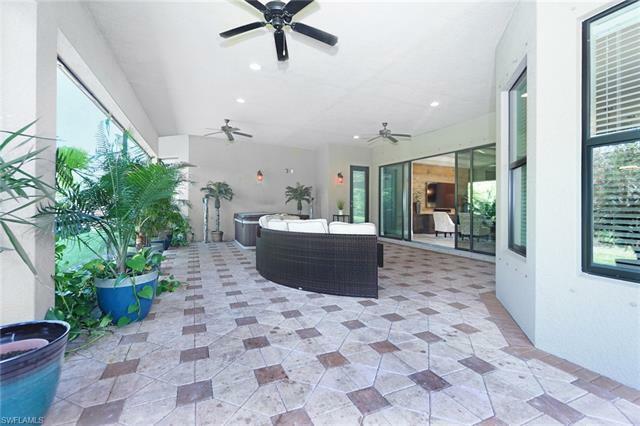 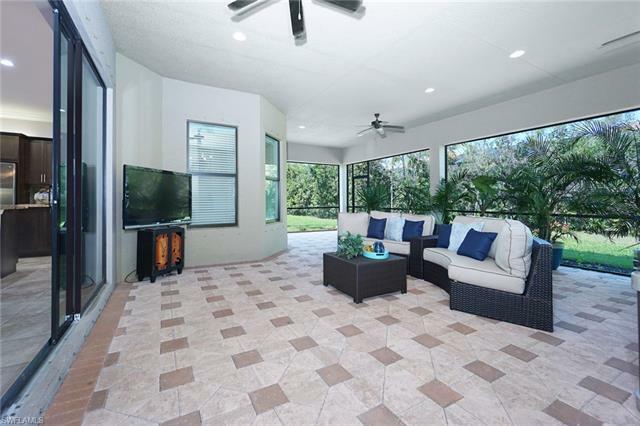 Screened & tiled lanai that overlooks a landscaped area with plenty of room for a pool. 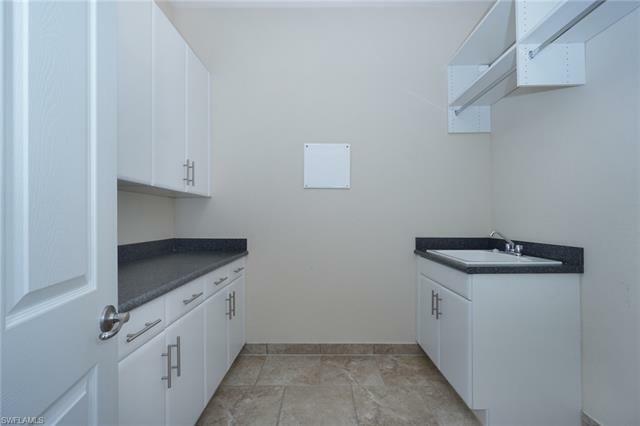 Laundry room, 2 oversized garage spaces PLUS a single car garage for extra storage. Riverstone offers resort-style amenities including 2 pools, basketball, tennis, fitness center and more.